As Indicated By Their Name, The Sweeps Perfection Rain Caps Were Developed With The Input Of Chimney Service Professionals Across The U.S. And Canada. With the aid of these professionals, we’ve incorporated time tested rain cap features, and we’ve gone a step further adding new and innovative features. 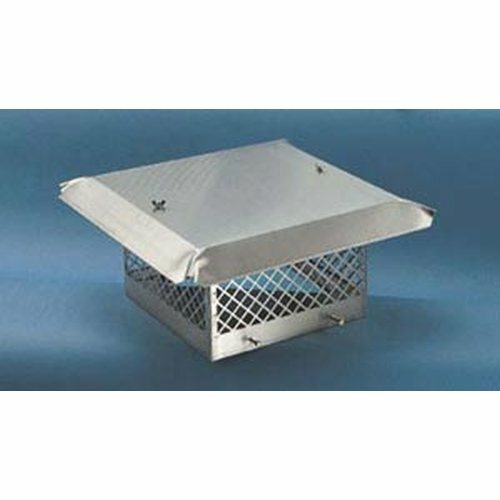 The superior features of the Sweeps Perfection Rain Caps are designed to give years of trouble free service. In part, this is accomplished by the heavy gauge Type 304 Stainless Steel material it is constructed of and without the use of welds. The stamped diamond mesh creates a solid cap, without the sharp edges often found with stainless steel products. All of the Sweeps Perfection Rain Caps are shipped fully assembled from only four parts, creating a solid, high-quality stainless steel raincap that will give your customers years of service. With the removable lid, the 2-Ply 22G Stainless Steel Base can be cemented into place, as an answer to situations like high wind areas, still allowing the Chimney Service Professional to evaluate and clean the flue of the chimney.